GOKPOP | Exclusive K-News in Malaysia & Singapore: Red Velvet Brings Happiness to Kuala Lumpur! 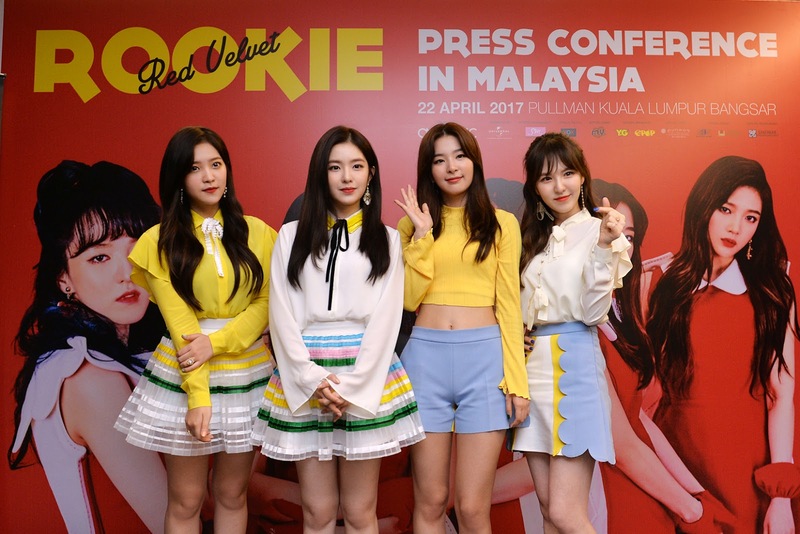 Red Velvet Brings Happiness to Kuala Lumpur! 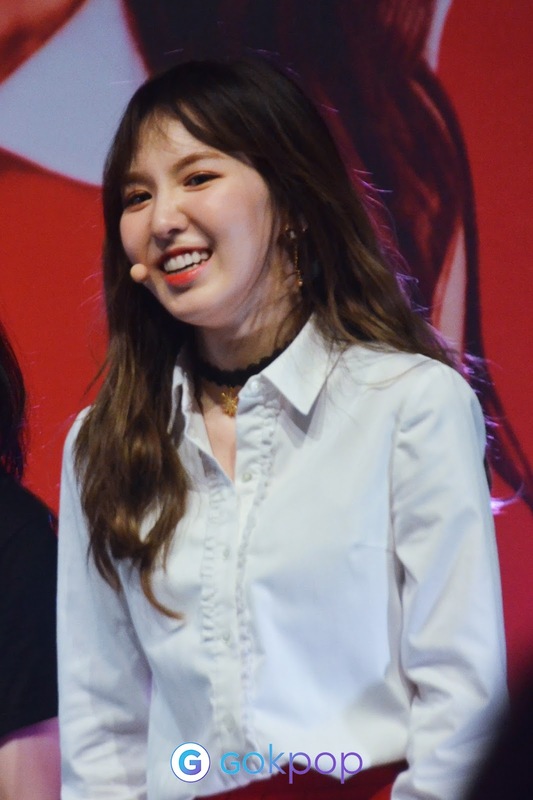 Red Velvet successfully ended their first "Rookie" Mini-Event in Malaysia with a full-house crowd at Bentley Music Auditorium on 23 April (Sunday). 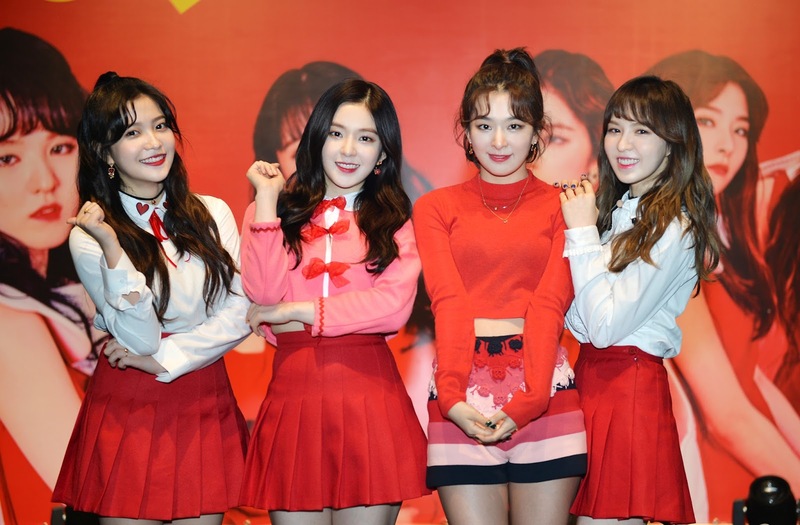 The overwhelming response definitely marked a wonderful Sunday for Red Velvet, not to mention us and the fans. The girls appeared with the matching red and pink outfit and performed their hit songs - Ice Cream Cake, Dumb Dumb, Russian Roulette and Rookie. An exclusive album making BTS video was played right after the uplifting performances, those who couldn't make it would definitely in the envy mood and murmur for thousand times - "I should go to the event.....those who attended were too lucky~". To fulfilled your wish, Joy who absent due to her drama filming has surprised fans with the pre-recorded video message. What's more touching than watching a heart-felted video from your favourite idol! The game session was next with 4 chosen lucky fans up on stage and get to meet Red Velvet up close. The Titanic scene was the highlight of the game session. Seulgi with a lucky fanboy reenacted the classic scene of movie Titanic - when the ship was sinking and Rose said to Jack: "Your Jump, I Jump!". We think the fanboys at the venue will naturally go into a cleanced and tense position but thanks to the well-mannered fanboy, the game session ended with a laughter-filled atmosphere. The event ended with the sing-along "One of These Nights". The girls never failed to disappoint the fans by showing their Bahasa Malaysia skill. Fans burst into laughter when they said "Best Giler" and "Hati berdebar-debar". Wishing the girls will return real soon and meet the fans with a concert perhaps. Once again, we would like to thanks, Universal Music Malaysia for the invitation. Check out more photos and videos here: FB, Twitter & Instagram.